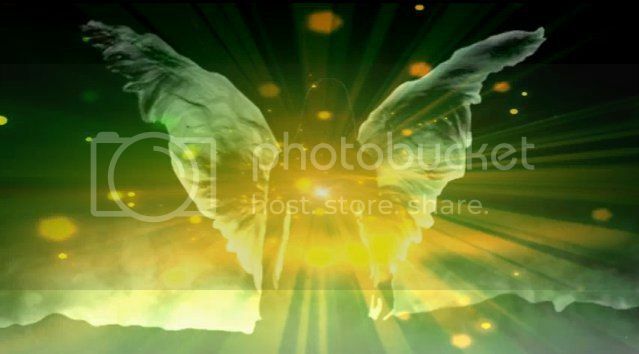 In the words of Doreen Virtue, famous for her beautiful writings on metaphysical topics and angels, "Archangel Raphael is the supreme healer in the angelic realm and chief role is to support, heal, and guide in matters involving health. Raphael means "God heals" or "He who heals" in Hebrew. Many believe that it is derived from the Hebrew word Rophe, which means "medicine doctor". In Catholicism, he is Saint Raphael, the patron of healing, physicals, travelers, and matchmakers. Anytime you call upon Raphael, he's there. The healing archangel isn't shy or subtle in announcing his presence. He wants you to know that he's with you, as a way of comforting you and alleviating stress along your way to a healthy recovery." Known as the Angel of Healing. He is a healer of the spirit, the mind and the body. There are many signs that Raphael gives you to let you know he is near; and some have described them as if he is putting the proper ideas into your head to give you information regarding your healing process. Some who have experienced this subtle form of communication have had him appear to them in their dreams, or been given a dream that they can faintly remember when they awaken with information relevant to their ailment that they should pursue. 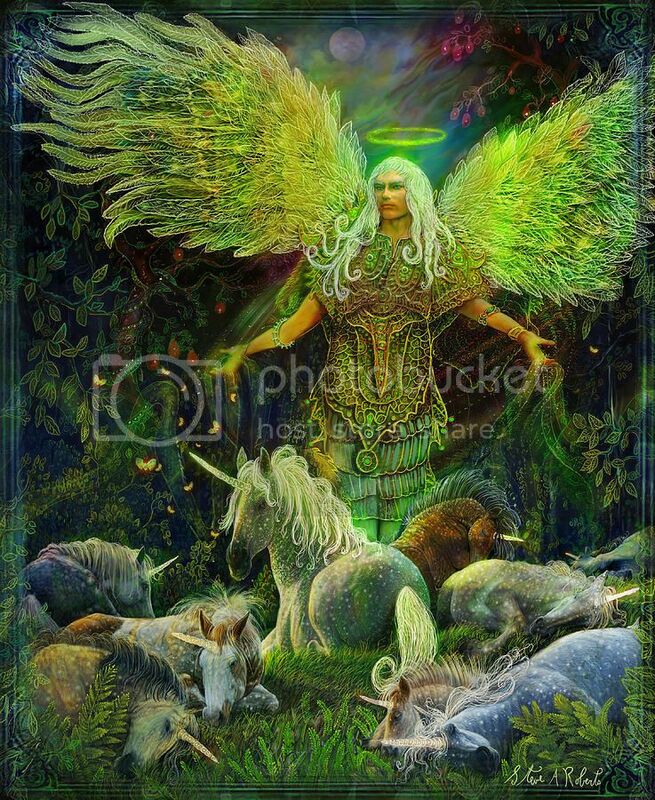 These hunches that you awaken with, are whispered ideas from the archangel himself, trying to coax you into trying something different to help yourself. In addition, one should know that in instances where there is a cause that is deeper than a body ailment, for instance resentment or hatred towards another, he will make it known to you through thoughts and dreams what the underlying cause is so that you can confront it and solve it to alleviate your condition. After helping you with healing, it is often said that he will make you feel like you wish to give back, usually to nature or to another person. You must do this. This is his way of ensuring that you know it is him that helped you, and allowing you to pay it forward to another person or nature in need. In his quest to help you through healing, oftentimes he also heals rifts and painfully strained relationships, especially within family. Being ill can become very stressful for those around you as well, and he has a way of putting the pieces back together in a clever way. 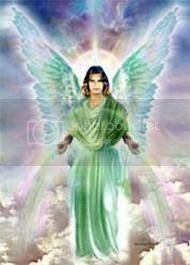 All angels have an associated aura around them, a light ray color which is associated with their energy. 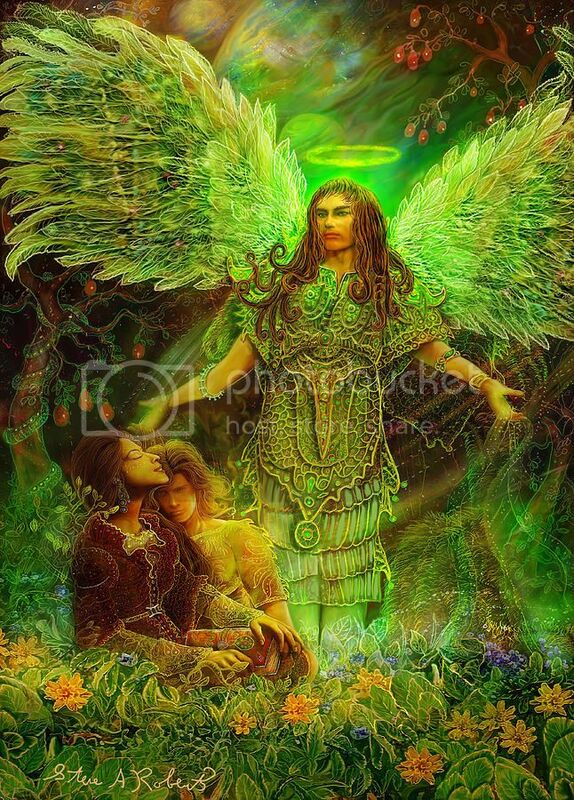 The energy of Archangel Raphael is transmitted in a very green color, and those that have been healed by him often acknowledge that in either their minds eye, or with their naked human eye, they believe they saw a green light subtly around when he was nearby. This is most definitely because he wants you to know that he is there with you. More than anything, the color is a reassurance of his positive impact on your life, and his overwhelming need to provide you with the answer you have been seeking through his love and divine grace. Archangel Raphael is to be called upon using the portal that has been created and openly imbued to this amulet. The amulet is made of pewter, and roughly 1.25" engraved with hermetic and Kabalistic precepts. 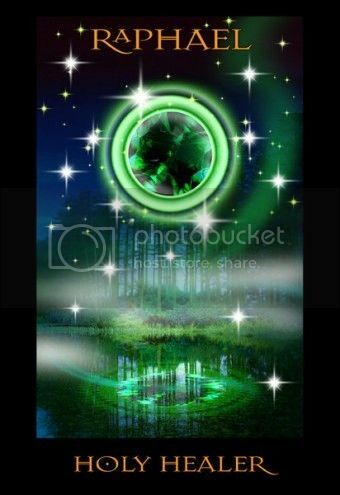 An activation ritual will be included, and the activation will need to be completed upon your receipt of the amulet in order to have the best, most powerful results. It is important to remember that Archangel Raphael is imbued esoterically, and not bound to the amulet you are receiving, so you will need to petition and call him forth when you need him, because he may be helping someone else at the moment. The petitioning prayer that will be provided to you, combined with the hermetic and kabalistic symbols engraved into the pewter, and the portal imbued upon the amulet, provide for an incredibly powerful source of help to you, that seems complicated, but is VERY easy for you to use! You will need to make sure that you do the petitioning prayer in a quiet space, where you can clear your mind. We recommend that this petition is completed everyday for the first 90 days, so that you can ensure you are bonding to the highest degree possible. Do not believe for a second that it is impossible for you to partake. Hermetic and Kabalistic magick has been around for ages, and using the simple petitioning prayer daily, and activating the amulet, are literally all it takes for you to unlock some of the most powerful magick that exists. If you need protection, then surely going to the ultimate source to ensure that you cannot be esoterically bothered any longer by outside forces and the evil of others, is the best strategy. It has often been asked of us, how we can ensure that the angel you are contacting is the proper archangel, and not another entity. The answer is simple and two part- the symbols themselves are ancient symbols that ONLY relate to Archangel Raphael himself. No other angel share's the symbol with him. Secondly, the portal that we created and esoterically imbued, which means tied, or tethered, to the amulet you are going to receive, was created ONLY to allow in white light beings. No dark entities are able to cross the dimensional threshold, so we can guarantee that there is two part protection we have put in place so that you are ONLY petitioning and bonding with Archangel Raphael himself. Our family has been working with magick for MANY years, and we ONLY release the highest of white magick. 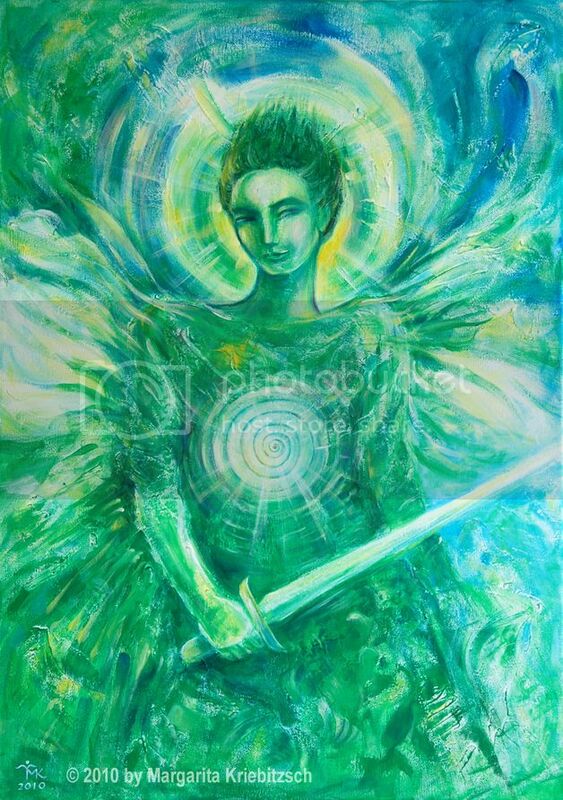 Aligning yourself with the highest vibrational beings possible, and in this case, the highest, being to be able to provide healing on such a multidimensional level, Archangel Raphael is the most powerful ally that you can have; aligning yourself with the divine is NEVER a bad thing. We are constantly confronted in this human lifetime with ailments; some of which are due to the negative energy that creates physical illness in the human body. Healing the route cause is the best solution available to making progress in your healing process. 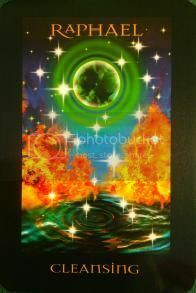 Archangel guidance and intervention can help astronomically with that. You will notice that we are probably not the "cheapest" of magick available on the internet. We know that. But we can also guarantee that we are "real." Authentic magick is all we do here. If you have doubts, then please ask questions, or maybe wait until you do more research before purchasing. The amount of time that goes into creating and casting magick, creating portals, imbuing and conjuring/summoning is intense and not something that can be done quickly. We have to price those offerings according to the time we have put into their creation. Please Note: We are constantly working on magick. You will receive this amulet within 30 days of purchase because we have to allow the portals we are imbuing onto the amulets to season. The amulet is done, but the magick we have placed on the amulet, needs to be finished, if that makes sense. SO, please be patient and know that your amulet will arrive to you, but you need to allow the full 30 days in some cases.